It comes as no surprise that plastic comb binding is considered as one of the best known ways to bind documents as it has been on the market place for over 50 years now. Flexible and cost effective, plastic comb binding meets most users needs, from students to professionals in large companies. A stylish, professional manual comb binder ideal for medium duty use in the home or small office for A4 documents. 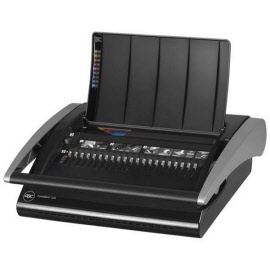 This machine has a simultaneous punch bind feature for optimal binding. The integral two-handed soft touch punch handle offers both comfort and stability. Complete with low-profile comb fingers for easier comb insertion and adjustable punch stop. Uses standard 21 ring combs. Manual Punch up to 20 sheets. Comes complete with a starter kit. Less effort needed... Electric Comb Binder capable of punching and binding simultaneously. Ergonomically designed to be easily stored when not in use. Includes a storage compartment for both binding combs and covers. Comb size selector. Punching dies can be disengaged to suit either 20 or 21 ring combs. 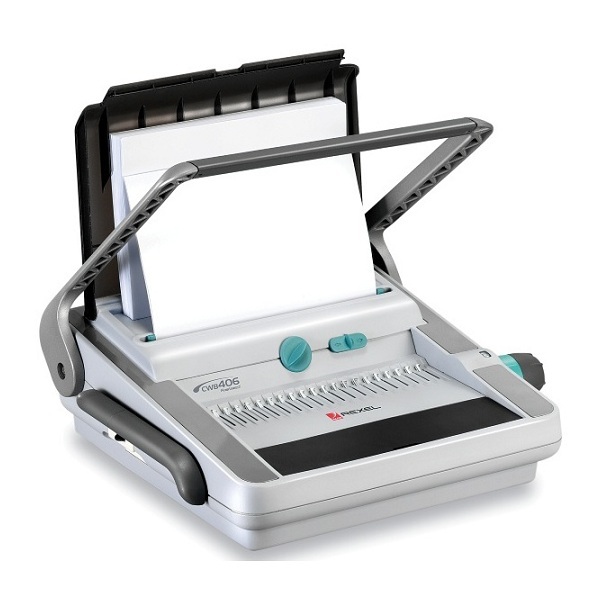 Electric Punch, adjustable punching depth up to 20 sheets. 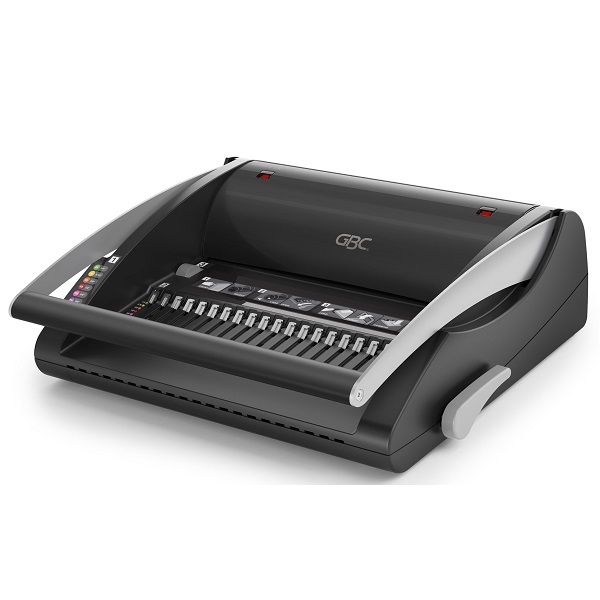 Robust, manual comb binder suitable for medium to large volume use in the office for A4 documents. Features the Flowline Concept to ensure a faster binding process ie. Document Separation which automatically divides the document ready for punching. Auto-Centering positions the document from the centre ensuring the punched holes do not break out of the paper edge. Manual Punch up to 25 sheets. RECOMMENDED. 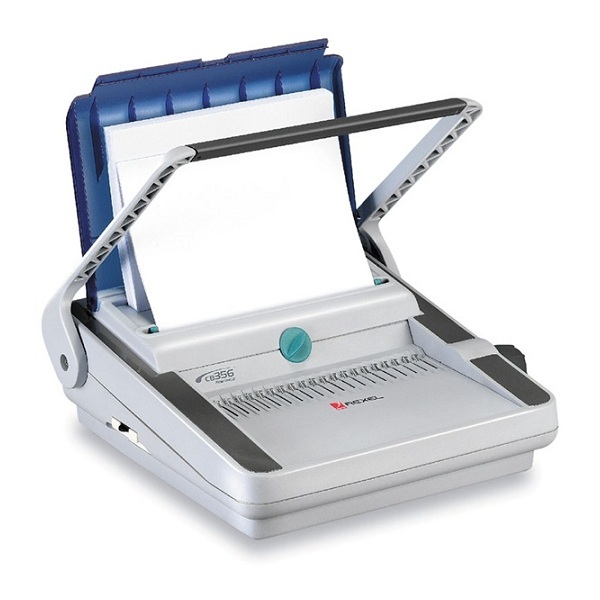 Fully featured manual comb and wire binder ideal for high volume use in the large office. Features the patented Flowline Concept to ensure a faster binding process i.e. Document Separation which automatically divides the document ready for punching. Auto-Centering positions the document from the centre ensuring the punched holes do not break out of the paper edge. Includes margin depth adjuster, comb opening stop plus 'simple click' for fingertip control of comb opening. 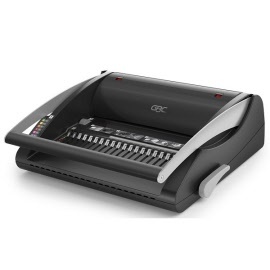 Manual Punch up to 30 sheets - A4 and A5 documents. 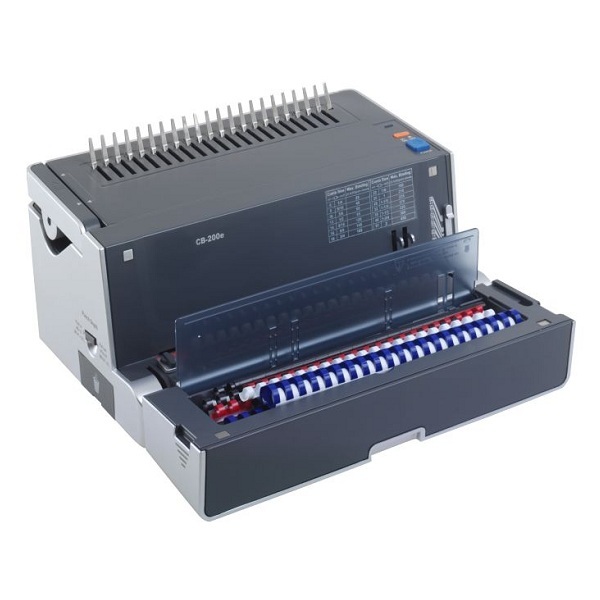 Binding capacity - 450 sheets using up to 50 mm plastic combs or 140 sheets using 14 mm wires. A stylish, professional manual comb binder ideal for medium duty use in the home or medium to large offices for A4 documents.